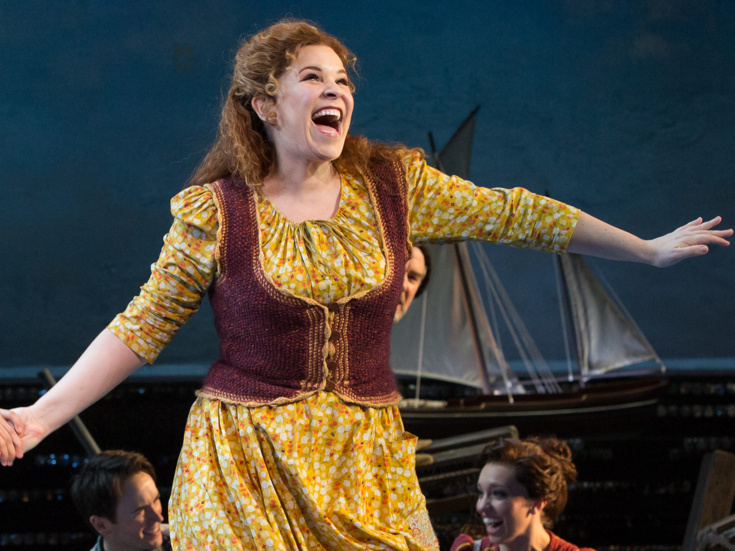 Beloved Broadway star Lindsay Mendez, who is currently appearing as Carrie Pipperidge in Rodgers and Hammerstein's Carousel, will lead Broadway.com's new vlog, The Carrie Diaries, beginning on May 24. The vlog will follow Mendez and her co-stars backstage and onstage at the Imperial Theatre where the acclaimed revival is thrilling audiences eight times a week. Set in a small New England factory town, Carousel follows the tragic romance between a troubled carnival barker and the young woman who gives up everything for him. Joining Mendez in the cast is Joshua Henry as Billy Bigelow, Jessie Mueller as Julie Jordan, Renée Fleming as Nettie Fowler, Alexander Gemignani as Enoch Snow, John Douglas Thompson as the Starkeeper, Amar Ramasar as Jigger, Brittany Pollack as Louise and Margaret Colin as Mrs. Mullin. In addition to her celebrated turn in Carousel, Mendez has been seen on Broadway in Significant Other, Godspell, Everyday Rapture, Grease and Wicked, during which she also vlogged for Broadway.com. Mendez's off-Broadway credits include Dogfight and The Marvelous Wonderettes. Tune in and watch Mendez take Broadway.com readers behind the scenes at the legendary musical that is moving audiences every night. The Carrie Diaries will run every Thursday for eight weeks.